Poisoned Pen Press, 9781590585771, 287pp. 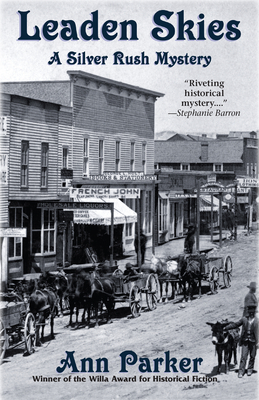 The summer of 1880: although possible investment in Leadville's silver mines is a main reason that former president and Civil War general Ulysses S. Grant is now touring this city at the top of the Rockies, others in his retinue and in town are enticed by other visions. As part owner of the Silver Queen Saloon, Inez Stannert has often observed the ruination that comes from yielding to temptation. Still, that knowledge hasn't stopped Inez from striking a backroom deal with upscale brothel madam Frisco Flo, a deal that Inez gambles will make her financially independent.